Buckle up, because this hunk is going to make you weak in the knees! 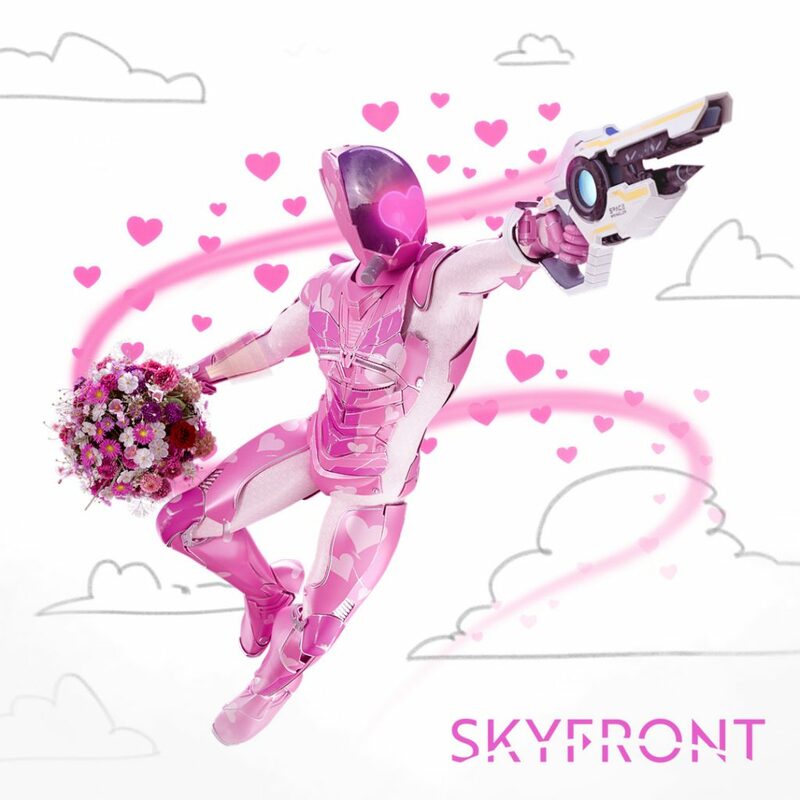 For Valentine’s Day, we are channelling our romantic side with a bunch of hearts and pink and… well, you get the drift. Enjoy our very own Mr Charming from February 14th until the 18th! But now, drum roll please! Skyfront has private matches! Whooo!! Yeah! The crowd goes wild! This new functions allows any player to create a password protected match. 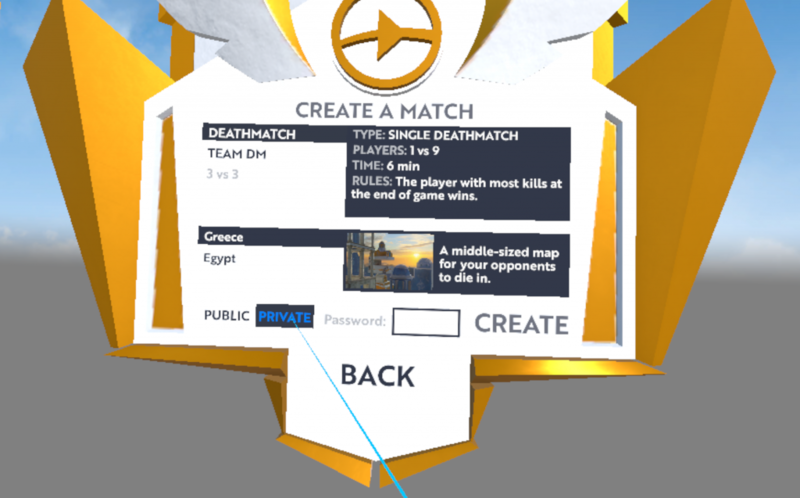 The match will be visible in Game Hub with a lock icon. To make it easier to find a particular match, the Game Hub listing now also displays the name of the match host. Whether you manage an arcade, just want to play against your friends without meddling veteran players killing you before you even get your bearings after a spawn, or are organising a tournament style event in Skyfront, this new addition will definitely come in handy! This patch is also heavily concentrated on fine-tuning our weapons. And to scale back the use of the Sniper Rifle as a stand-in for the Revolver, the Sniper Rifle will now only do 200 damage in double-handed mode. One-handed damage is 100. The final weapon related update in this patch concerns the Grappling Hook. We know how much some of you love to spiderman around the arena, but... it kind of makes you guys hard to target. So we've reduced the distance of the Grappling Hook by 50% to limit the mobility and maximum speed the grapple currently provides. And as a fun addition, the Match End Menu now includes some dandy animations.